Hindu mythology portrays Mahishasura as a buffalo demon. Being an asura, he waged a war against the Devas. In the end he was killed by Goddess Durga in her Mahishasuramardhini form. The image of Mahisha is in standing posture. It has a buffalo head and has two hands. 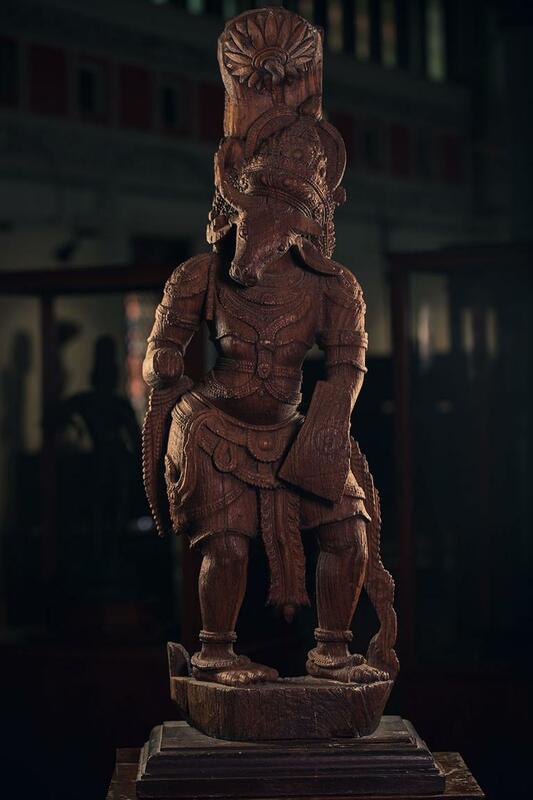 The image is loaded with intricate wood carvings.